Last week, we decided to visit one of the local museums in Maryland. We didn't tell the kids where we were going, just in case the older kids shot down the idea before they even gave it a chance. 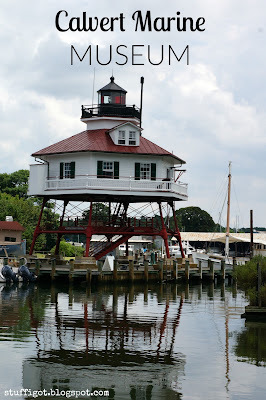 My husband and I had talked about going there in the past, but never had the time to make it down there. 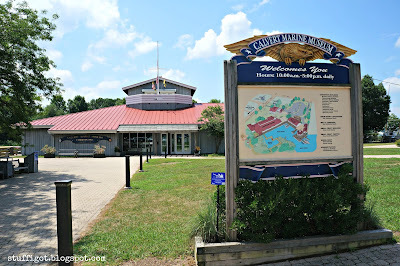 The Calvert Marine Museum is located in Solomons, MD, at the mouth of the Patuxent River. 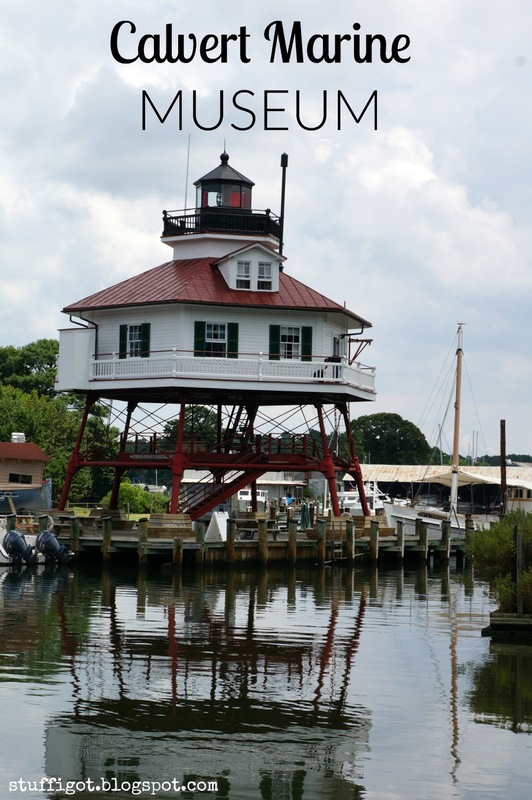 The museum features displays, aquariums and exhibits that highlight the history and ecology of Southern Maryland. 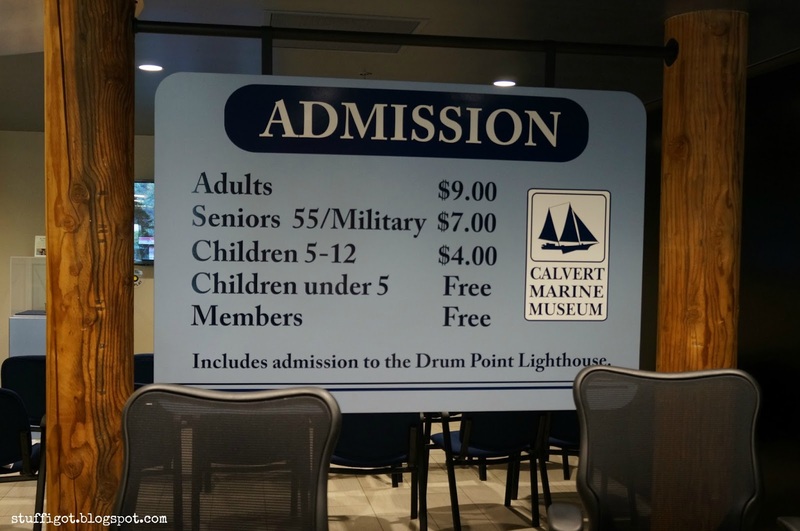 Upon entering the museum, you have the gift shop to your left and the ticket counter just ahead. 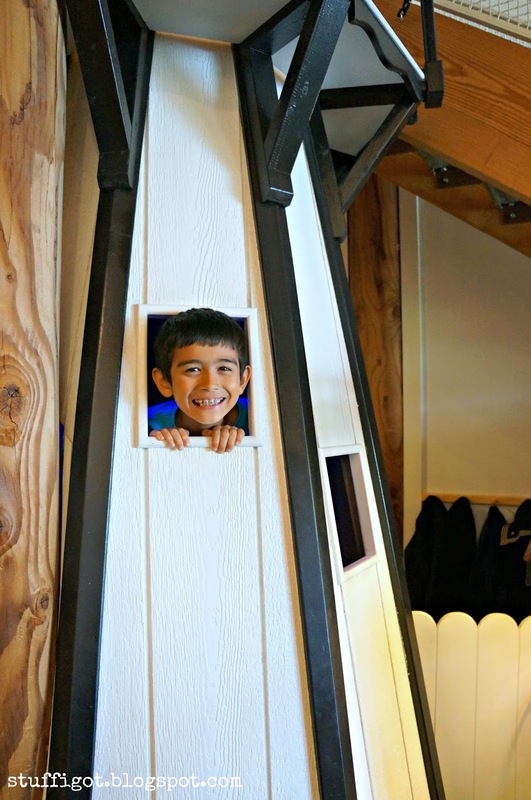 After paying for admission, the kids ran for this cardboard cutout. 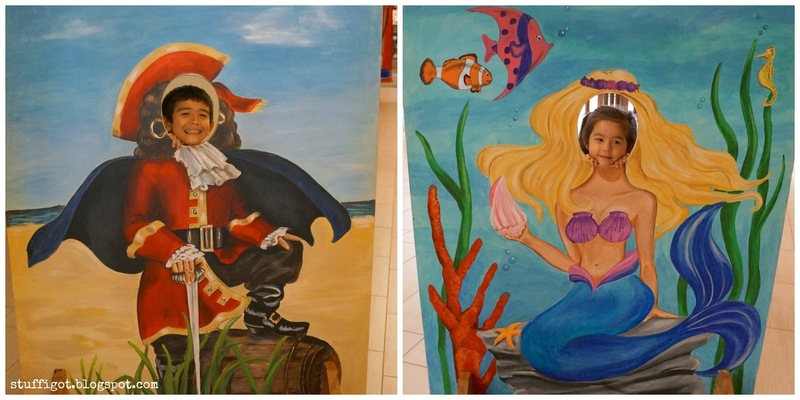 It has one side with a pirate and the other side with a mermaid. 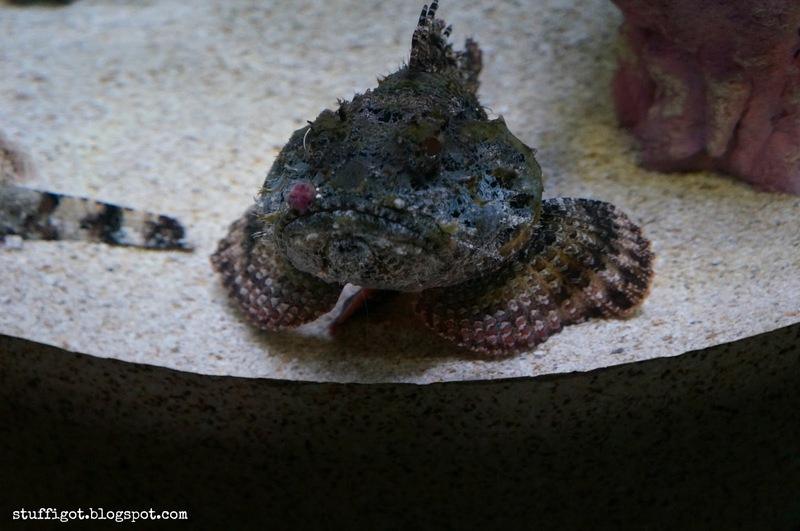 They love putting their heads through these things! 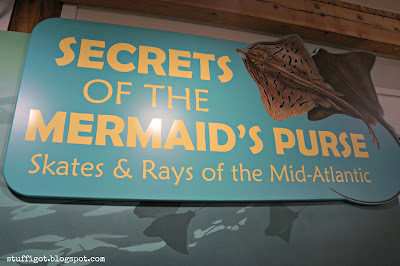 After taking pictures, we checked out the "Secrets of the Mermaid's Purse: Skates & Rays of the Mid-Atlantic" exhibit. 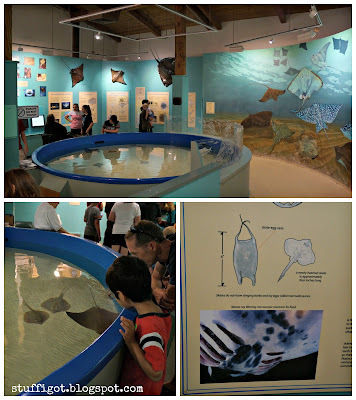 The kids liked seeing the skates and rays, though they were disappointed it wasn't a touch tank. We've been to other aquariums where you can tough the rays. We ran into my oldest daughter's old 2nd grade teacher while we there, so that was a nice surprise. Next, we visited the Discovery Room. 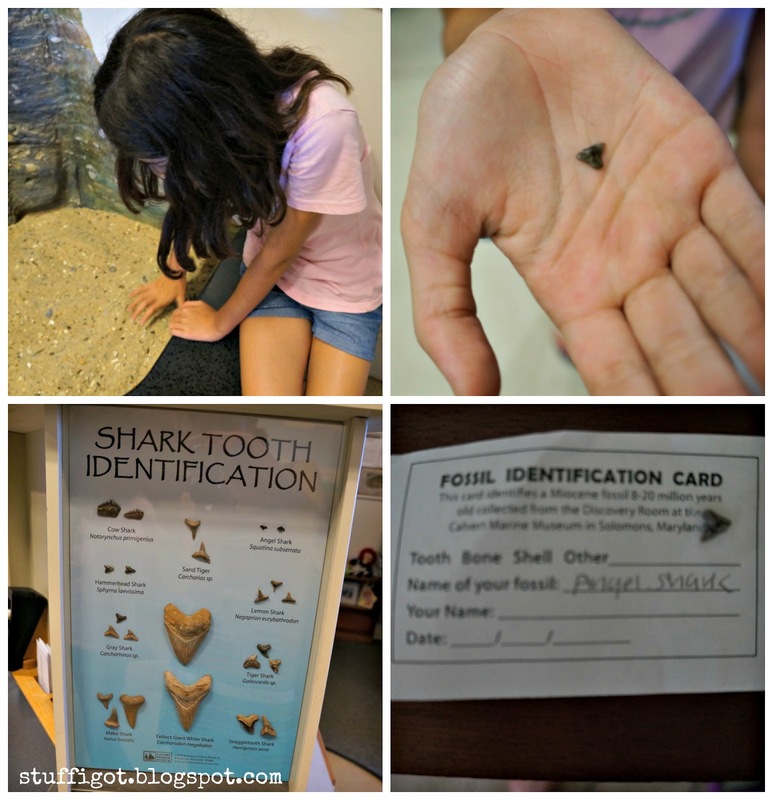 The kids had fun looking for fossils and playing in the model of Cove Point Lighthouse and the keeper's house. 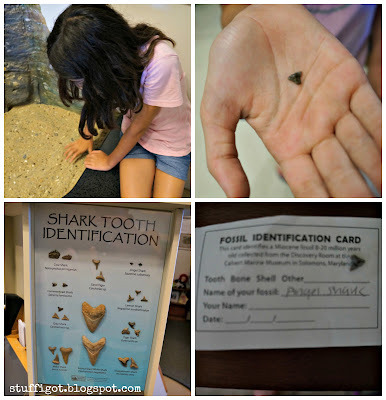 My daughter found an Angel Shark tooth. 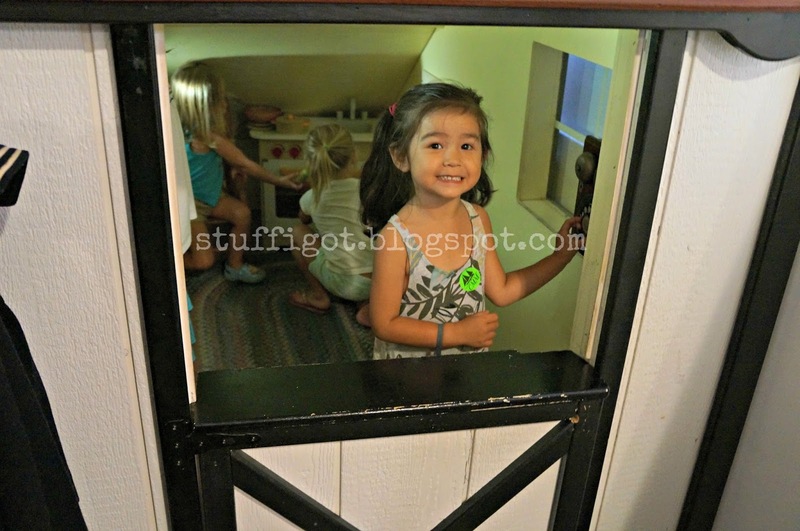 Playing in the keeper's house. After looking at everything in the Discovery Room, the kids ran off in the direction of the boats they had on display. The museum map told us to do this part last, but we ended up going through the exhibits backwards. 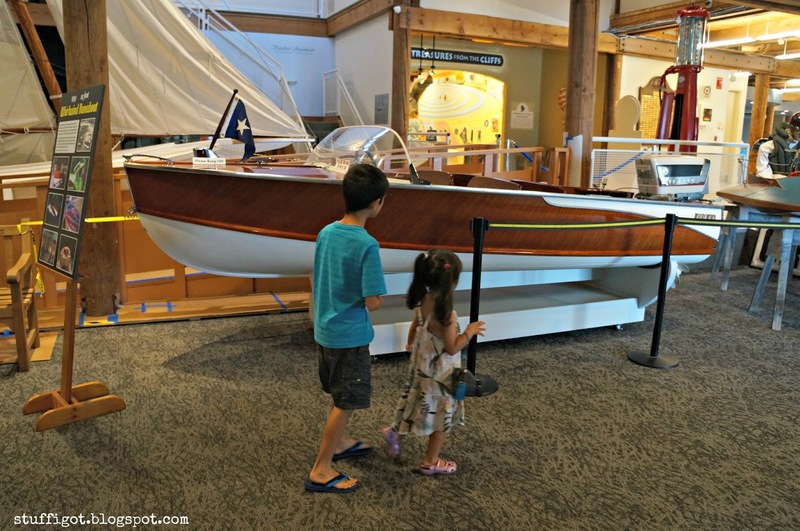 We looked at the boats and browsed through the Maritime History Gallery. We kind of went through the area pretty quickly since the younger kids didn't really care to read through any of the exhibits. 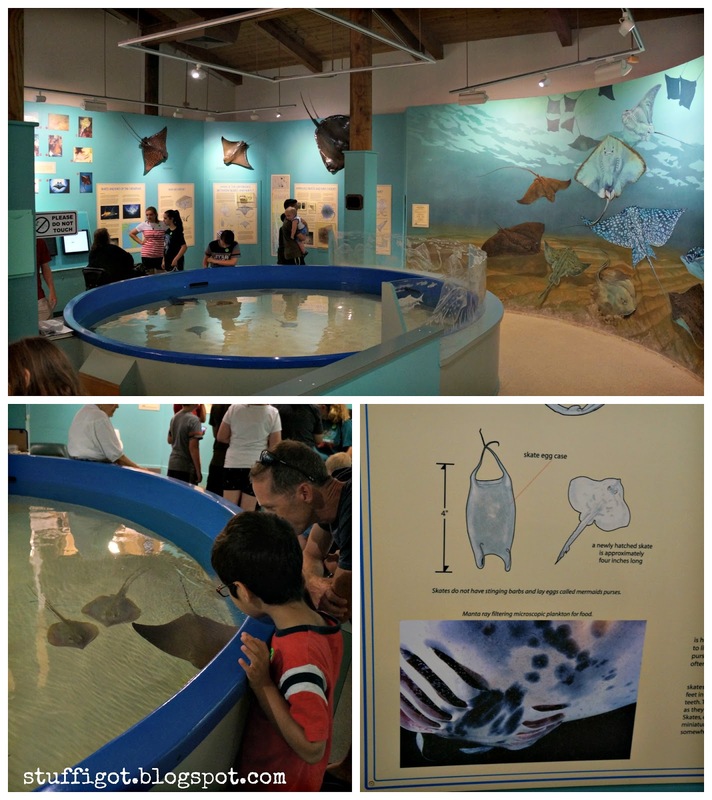 Next, we went through the Estuarine Biology Gallery. 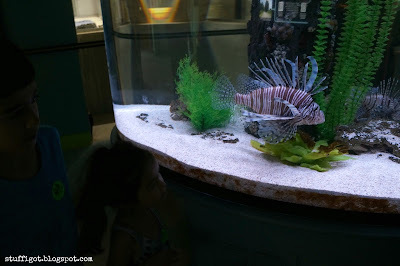 The kids had fun looking at the different aquariums, though again, they went through it pretty quickly. I was left behind taking pictures and trying to read through the exhibits. I thought this scorpion fish was pretty interesting. 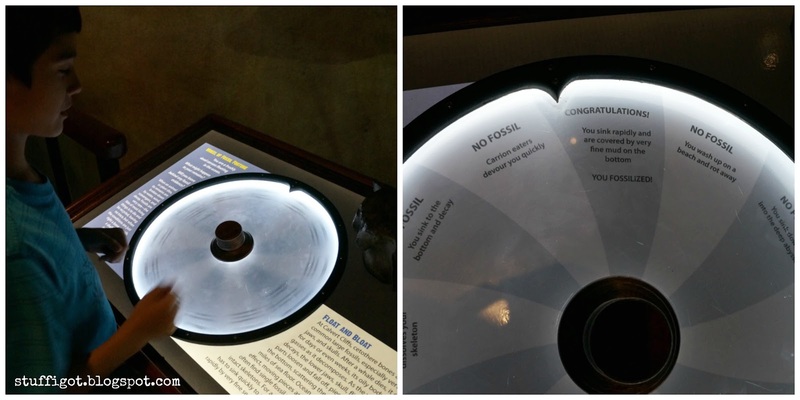 My older kids liked this interactive display where you spin the wheel to see if you get fossilized. 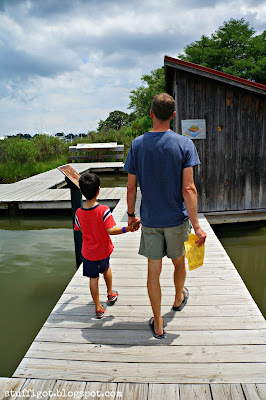 After going through the Paleontology exhibits, we went outside to look at the Otters and go through the Marsh Walk. It was a pretty hot day, so we didn't spend too much time outside. After a quick look through the gift shop, we headed out. Overall, the kids enjoyed the museum, though I think the younger kids enjoyed it more than the older ones did. 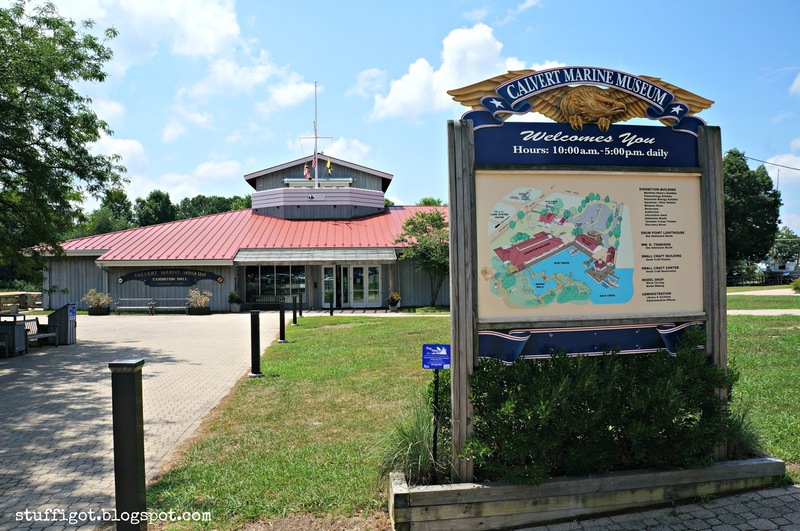 The Calvert Marine Museum is open daily from 10 - 5 pm, except for New Year's Day, Thanksgiving and Christmas, when they're closed. The museum also closes early on days there are concerts held outside the museum. Our First Harvest from our Garden!